Imagine slowly descending into freezing-cold water. You feel the heightened sensation of cold climbing it’s way up your body as you lower yourself down into the water. Toes, ankles and calves wake up, immediately, to the change in temperature, encouraging you to reconsider. But you keep going. Submerging lower trunk, chest and shoulders next as your body kicks into high gear trying to ﬁgure out how to process this unexpected change in environment. On April 1, I’ll be completing an accidental yet life-altering, year-long project of almost daily cold-water immersions. My aim was 300 days of freshwater dips. My time-frame included our long winter but for anyone interested in dipping their toes into cold-water plunging, springtime in our lakes is the perfect time and place to begin. My friend, Nevada, and I began our cold-water adventures last year during an early spring snowstorm. We had separate health concerns which we both suspected might be helped by a new health regimen. When I invited her to join my spring swimming club (my hobby is starting random clubs), she responded with an immediate “afﬁrmative”, so we started that very day. Our quick dip in the newly unfrozen waters of Alpha Lake was intense but after the initial shock of cold — which is overcome by consciously gathering your breath back under control — a healthy jolt of norepinephrine kicked in. We merely got in and out of the water that day but an outlandishly sized wave of happiness swept over us. We fell into an almost daily rhythm of meeting at the dock with ﬂasks of hot tea and towels in hand. Over the year it helped me recuperate from injuries, reduce pain from inﬂammation and improved seasonal blues. Plus, hanging out in nature, by the water, has been a very good way to spend a portion of each day. Cold-water swimming and ice baths have been popularized by charismatic ﬁgures such as Wim Hof, the Dutch athlete and meditator (a ﬁlm about him by Vice, called “The Iceman” has over 4 million views), but people have been using the beneﬁts of hydrotherapy in various forms (sauna, cold showers, hot springs, snow-bathing etc) throughout the ages. 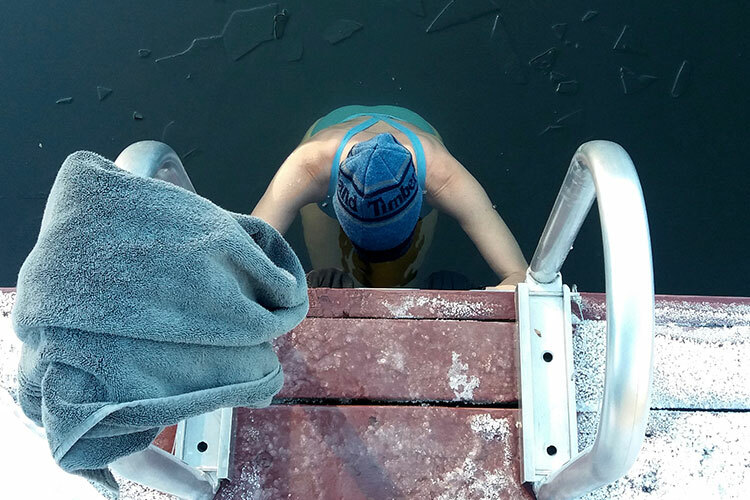 Recently, it seems cold-water training has become the latest hot trend for athletes and non-athletes alike. 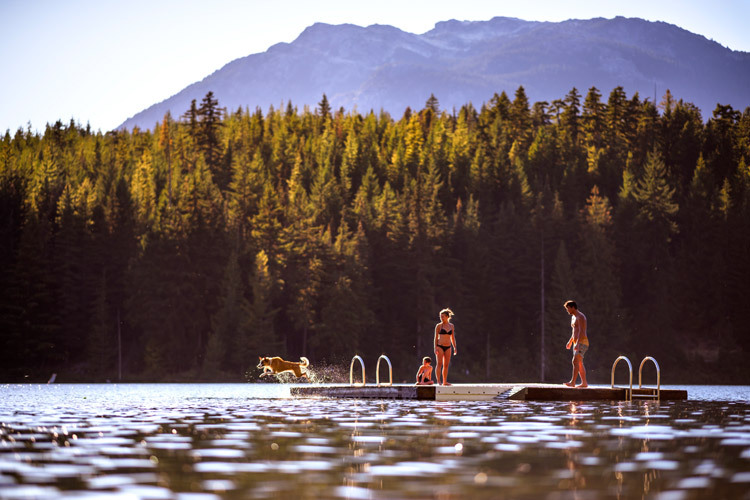 Insider Tip: In Whistler, you can experience traditional Scandinavian hydrotherapy and its relaxing and rejuvenating benefits at the Scandinave Spa. As with any seemingly extreme pursuit, cold-water dips are not without risk — this is a unique challenge for the body and it’s best to consider your personal health first. Anyone with cardiac conditions should consult a doctor before trying a cold-water dip. As with most new pursuits, it’s best to start slowly and build up to longer immersions. My ﬁrst-time recommendation is to enter the water brieﬂy, take a breath or two, get out and feel proud. You’re more likely to try again if the ﬁrst experience is enjoyable. There is no ribbon or award for staying in longer or pushing your limits too far. Instead, your body will appreciate the wise method of gradual exposure. Head out with a friend. I recommend choosing an encouraging (but calm) friend — shrieking does not help. Pack one or two towels (I prefer two, so that I can stand on one and dry off with the other, the ground towel helps keep feet clean and frost-free), a thermos of warm herbal tea (coffee can make my heart race so I don’t drink it right before or after dipping) and mittens or gloves (if you don’t like the idea of holding onto the cool, metal ladder with bare hands). Wear your swimsuit under your clothes for easy disrobing, and choose comfortable, loose clothing so that it’s easy to get dressed again afterward. For safety reasons, hold on to the ladder and simply submerge your body without venturing into open water (your friends love you but no one loves jumping into cold, icy water to help a ﬂailing swimmer). Keep your head above water — I haven’t read much to convince me that dunking your head increases health beneﬁts (plus, it takes a while for hair to dry). I like to keep my toque on during cold weather and wind. Connect with your breath as you enter the water, take slow and controlled inhales and exhales. 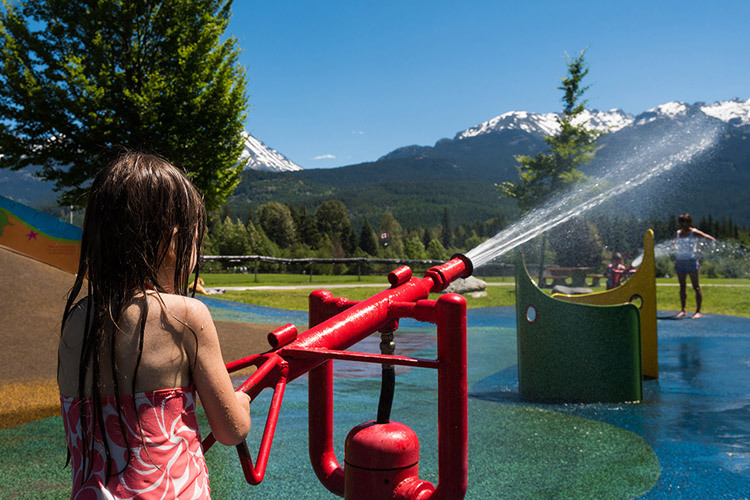 Whistler has an abundance of glacier-fed bodies of water, and many of our swimmable places are naturally cool due to the decidedly non-tropical climate. 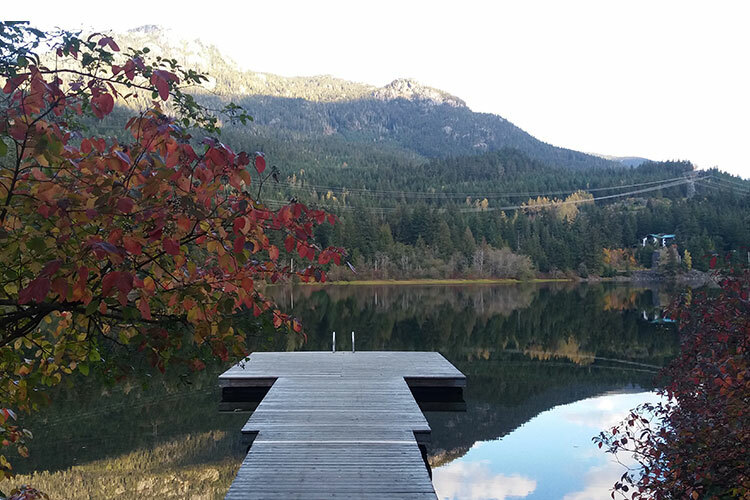 Local lakes are easily accessible from the Valley Trail and many include the considerable bonus of an easy and safe entry point to the water via a dock-secured ladder. 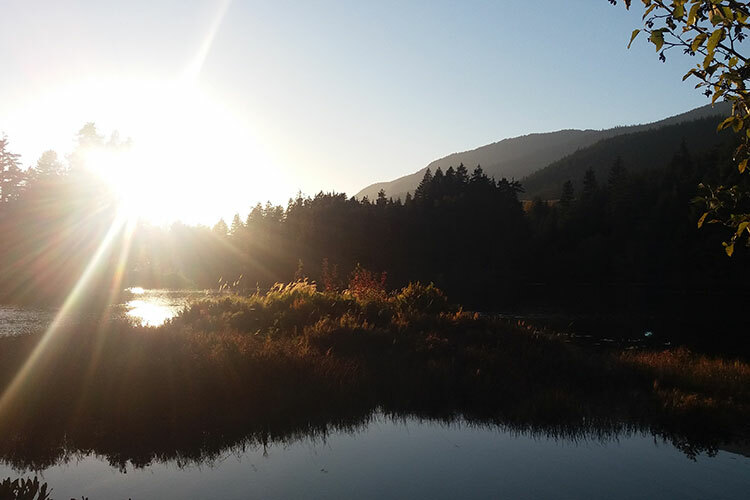 Lakeside Park and Rainbow Park (both on Alta Lake) are great options in the spring. 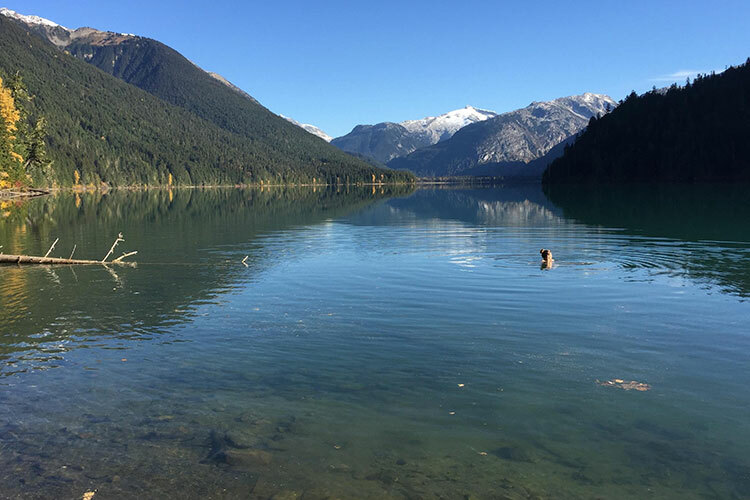 Even in the heat of summer, you can ﬁnd your cool water ﬁx by choosing larger, colder lakes like Green Lake, or by hiking to alpine lakes such as Cheakamus Lake or Garibaldi Lake. 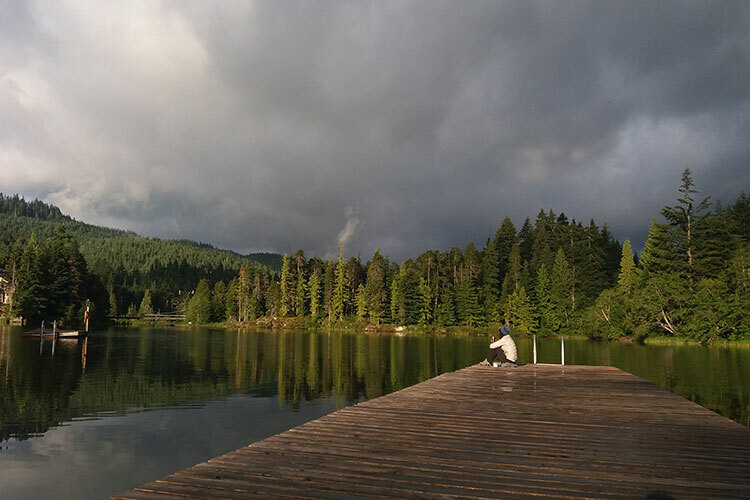 You can also visit your chosen dock before sunrise or after sunset for lower water temperatures. It’s best to stick to large bodies of water so you don’t disturb the delicate ecosystems of streams and small alpine lakes. Cold-water dipping is undeniably fun and like any outdoor activity, it should be done with consideration for the natural environment. The salamanders and ﬁsh eggs will thank you. 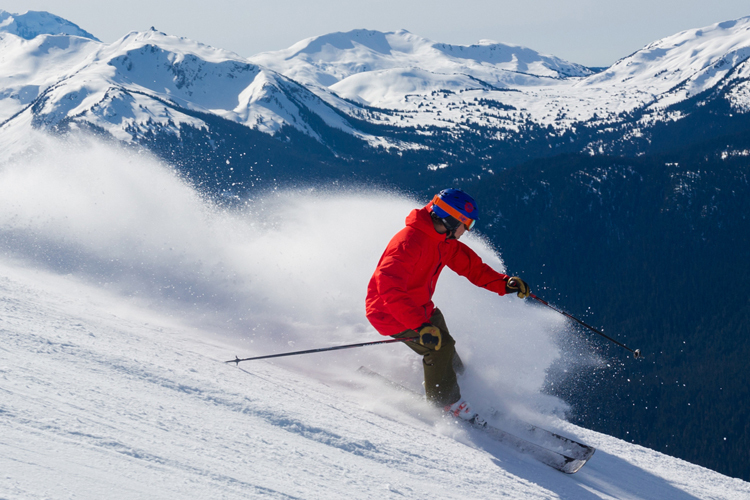 Allow yourself the novel experience of cold-water plunging and a new side of Whistler opens up. Early, misty swims or dark, evening dips will surprise you with their beauty and stillness. Cooling dips in the middle of a bustling summer day are never, ever a bad idea either. 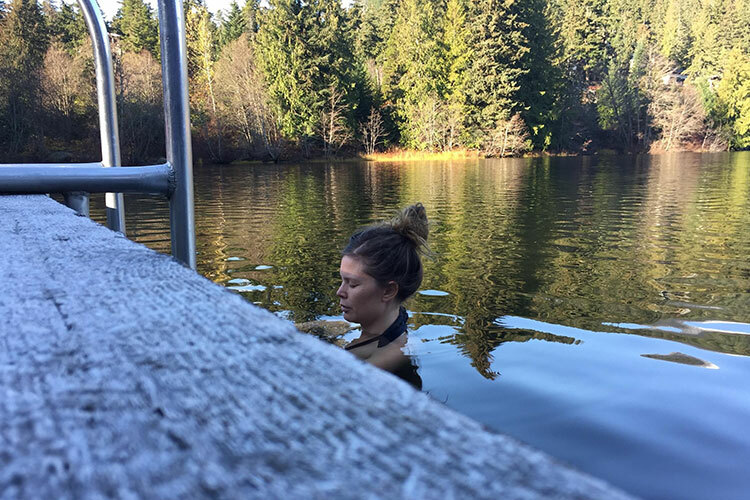 Some of you might be surprised to hear that I’ve had a life-long fear of water – this past year of practicing cold-water dips in Whistler’s lakes has helped me move beyond that. Water has moved me out of my fear-zone and become an ally, a ritual and the best part of my day. 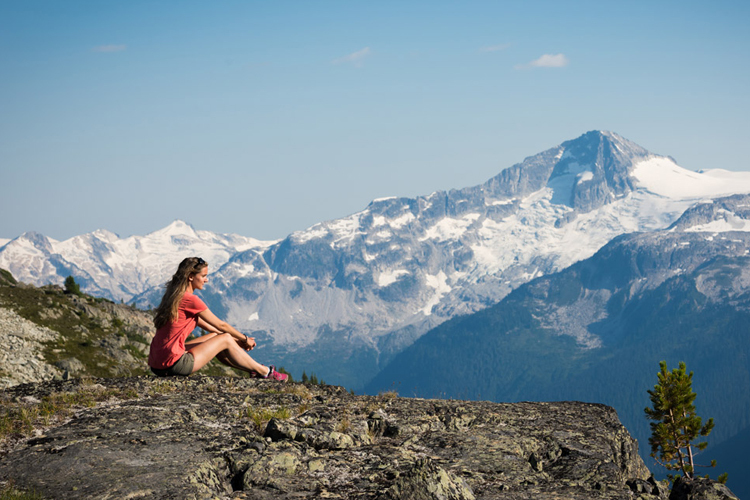 The ice melting on the lakes signifies that spring in Whistler has begun. Mountain bikers start to hit the trails, paddleboards and golf bags come out of storage and the likes of Asta and Nevada brave the waters. 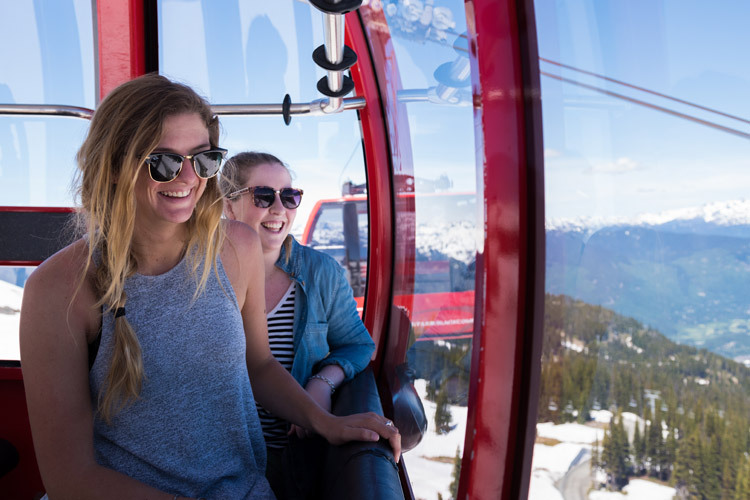 Spring is a beautiful time in the mountains and if you’re thinking of joining us have a chat with the team over at Whistler.com to get the best rates and activity ideas for your getaway. 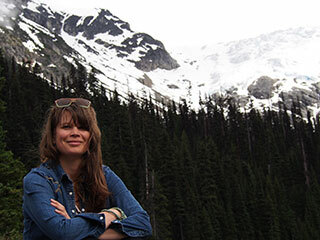 Asta Kovanen is a Whistler-based artist known for starting unusually short-lived clubs (e.g., The Definitely Not-Skiers Ski Club, The Alpine Life Aquatic and The Gravity Appreciation Foundation). She also works as a Registered Massage Therapist and enjoys saunas, hiking and weaving with plants or reclaimed materials.